This commandment is the core of the Republican strategy for this year’s campaign. There are too many examples to focus on each one so let’s just focus on the most recent one….Republican lies about the auto industry. Sure, you can see why they are using this approach….Mitt Romney’s “let them go bankrupt” approach to saving the auto industry is not a winning position. So all the Republican’s can do is lie. So tell me, are you willing to vote for a presidential candidate that has zero integrity? I can tell you that I am not! Let’s start with at the beginning, here is Romney’s position, Romney’s prediction of the consequences of the bailout supported by President Obama, and the reality of what has has occurred based on the bailout. Here is the Romney ad running in Ohio that is full of lies. The first of the lies is that President took made the companies go bankrupt . Of course it was Romney who wanted to do this and it was President Obama that bailed them out. The second lie is that Chrysler was moving Jeep production to China. The following article captures Chrysler’s response to the second lie. For a candidate pledged to help businesses large and small succeed, Mitt Romney sure is getting a cool reception from top executives at Chrysler. 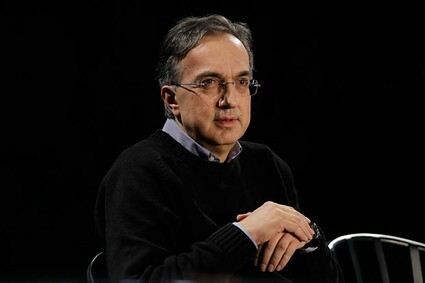 Sergio Marchionne, the company’s CEO, felt compelled to send a company-wide email to reassure workers that assertions made by the Republican presidential candidate both in a campaign appearance and in radio and television advertisements are “inaccurate.””I feel obliged to unambiguously restate our position: Jeep production will not be moved from the United States to China,” he wrote, adding that the company was planning on more investment in manufacturing and jobs in the American Midwest, including the crucial presidential swing state of Ohio. Romney commented while campaigning last week that he had read news reports saying Chrysler would be cutting American jobs in favor of manufacturing Jeeps overseas. Marchionne said it is true that the company is ramping up overseas manufacturing, but as additional capacity to feed growing demand in Chinese markets, not to replace American jobs. The back-and-forth, held just one week before Election Day, may prove a pivotal moment. President Barack Obama and Romney are virtually tied in national polling, but Obama has a slight edge in most Ohio surveys, likely buoyed by positive reviews of his oversight of the auto-industry bailout viewed as critical to the region. The Buckeye State is a near must-win for Romney, as no Republican has been elected to the White House without winning Ohio. Scrutiny of the electoral map reveals even if Romney were to run the table and win other battleground states Florida, Virginia, North Carolina, Colorado, New Hampshire, and Iowa, he still wouldn’t win the 270 votes necessary without taking Ohio. Obama campaign officials have called Romney’s willingness to mislead a “desperate” attempt to win. “It reeks of desperation because that’s what it is,” said Jim Messina, Obama’s campaign manager in a media call on Monday. The Romney campaign also made news Tuesday when it announced that it was buying television advertising time in Pennsylvania, traditionally a swing state but one that has been largely off the table this cycle due to Obama’s consistent lead in polling there. An average of statewide polling has Obama up by 4.7 percentage points, according to RealClearPolitics.com. The GOP candidate’s campaign is also going to stump in Minnesota, another state thought to be firmly in the Democrat’s corner throughout the campaign. “With one week to go, and 96 percent of the vote on the table on Election Day in Pennsylvania, this expansion of the electoral map demonstrates that Gov. Romney’s momentum has jumped containment from the usual target states and has spread to deeper blue states that Chicago never anticipated defending,” wrote Rich Beeson, Romney’s political director, in a memo on the campaign website. He said the campaign is flush with cash and ready to make a super-sized final push. The Obama campaign, however, argues this expansion into states where Romney hasn’t been spending time or resources previously is an acknowledgement they aren’t gaining the necessary traction in Ohio and in other battlegrounds. Messina said it’s clear that Obama has a “significant” early vote advantage and that Romney’s momentum gained from his debate performance at the beginning of the month has stalled. Both campaigns suspended official campaigning by Romney and Obama on Monday and Tuesday due to Hurricane Sandy. Romney did hold what the campaign billed as a “storm relief” event with supporters in Ohio, gathering canned goods and other items and Obama made a stop by the American Red Cross headquarters in Washington. Obama will travel to New Jersey on Wednesday where he will survey storm damage with Republican Gov. Chris Christie, while Romney has a full slate of campaign events scheduled in Florida. Christie, a top Romney surrogate who delivered the keynote address at the Republican National Convention this year, has already offered praise for Obama’s leadership on Sandy relief efforts. Did the Romney campaign apologize for the ad……no way. They doubled down on their lies. Here is a news report about their second ad with even more flagrant lies. Finally, Rachel Maddow, in her own unique way, sets the record straight and call out Romney and the Republicans for what they are…..serial liars.